Every second, thousands of tweets are tweeted on Twitter. To make sense of it all, we can track what interests us by following tweets with certain hashtags. 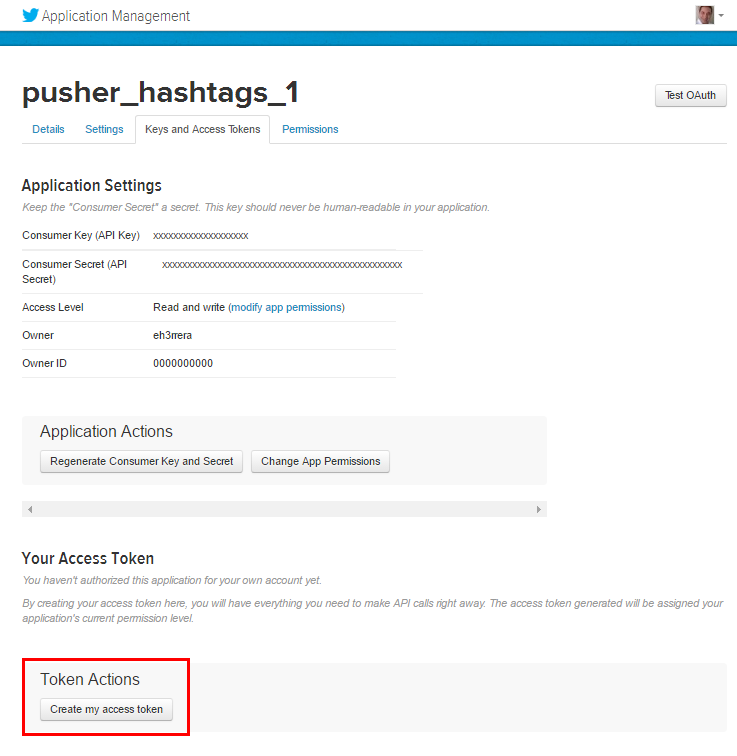 In this tutorial, we're going to build an iOS realtime Twitter feed app with Pusher to track a custom set of hashtags. 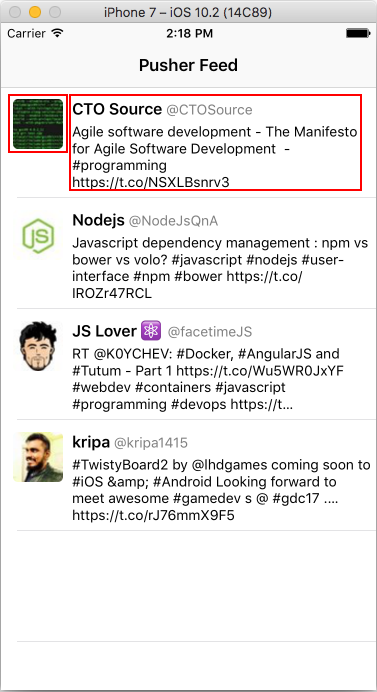 In the backend, we'll have a Node.js process listening for tweets that contain one or more defined hashtags. When we find one, we'll publish an object with the tweet information to a Pusher channel. 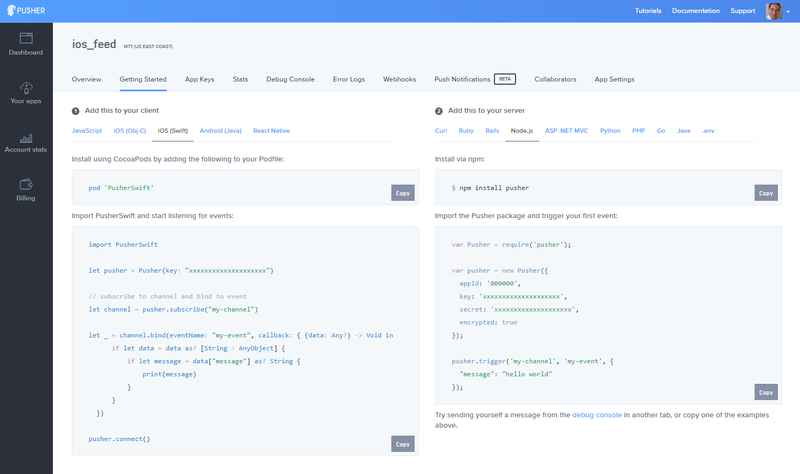 The complete source code of the Node.js process and the iOS app is on Github for reference. But don't worry, this won't lock you into this specific set of technologies, you can always change them. With Pusher, you can use any combination of libraries. Then go to the App Keys tab to copy your App ID, Key, and Secret credentials, we'll need them later. Log in to your Twitter account and go to https:/apps.twitter.com/app/new to create a new application. Website (your application's publicly accessible home page. We're not going to use it, so you can enter http://127.0.0.1). 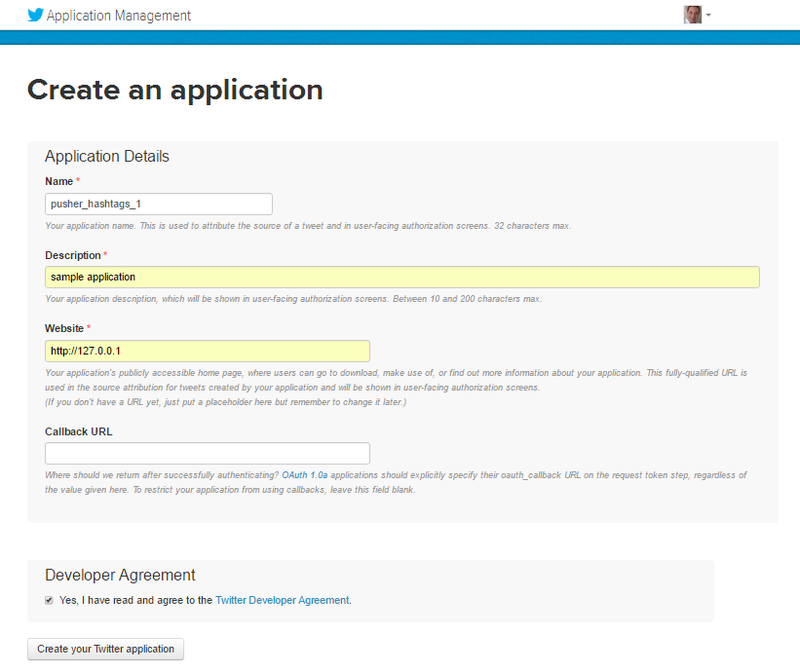 After you agree to Twitter's developer agreement, your application will be created. Save your consumer key, consumer secret, access token, and access token secret since we'll need them later. 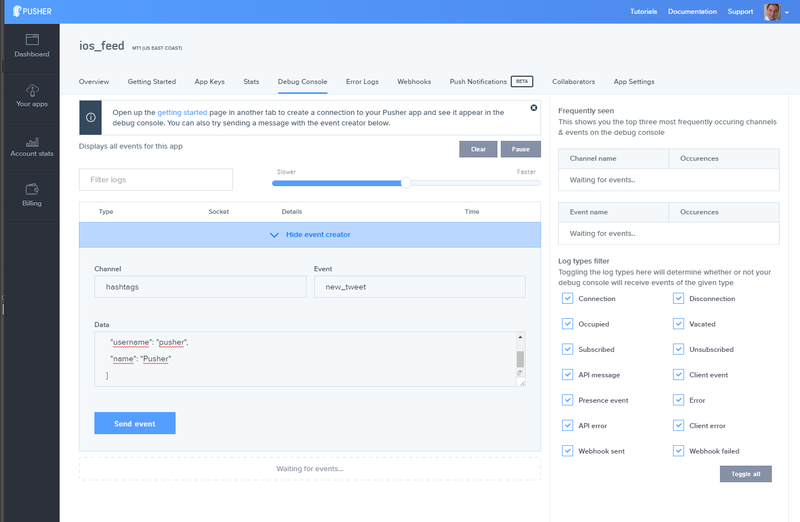 We'll get the tweets by using the Twitter Streaming API with the help of the twit library. You can clone the GitHub repository and run npm install to set up dependencies. You can also change the hashtags to track if you want. And that's all this process does, let's see how the iOS client is built. We'll be using iOS 10 and Swift 3 to build our app, so Xcode 8 is required. 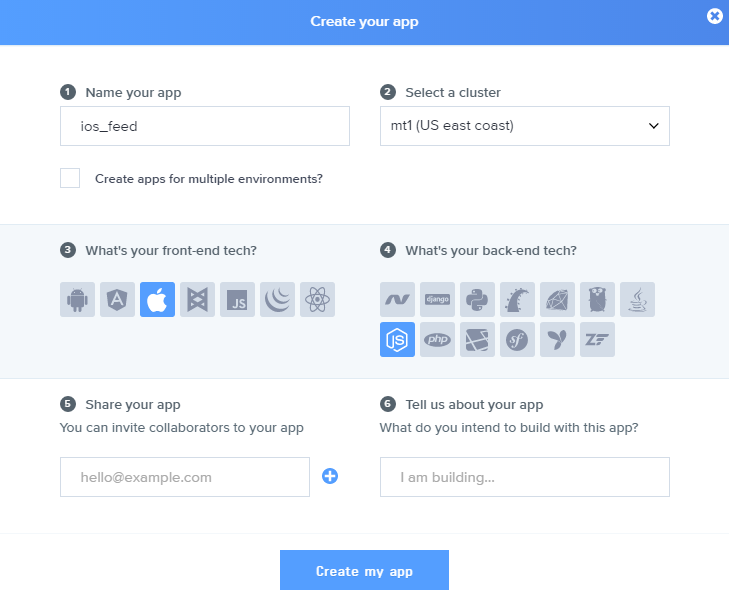 For apps like this, creating everything programmatically is easier. 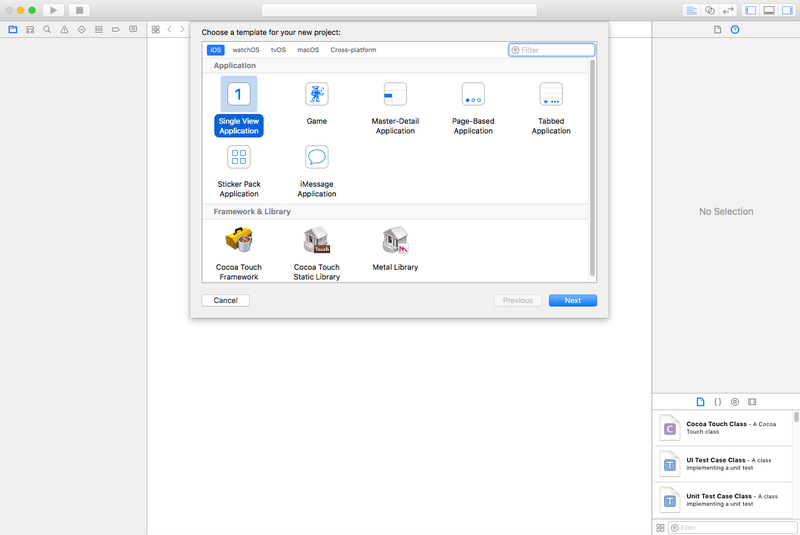 We won't use the Interface Builder or the storyboard file that Xcode creates (Main.storyboard). 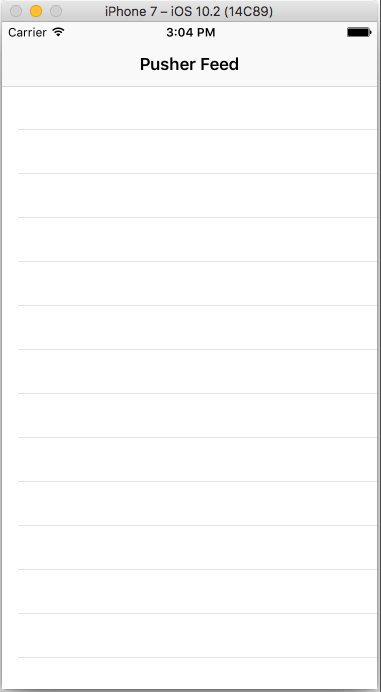 In the above code, we're using the ViewController file Xcode created for us. 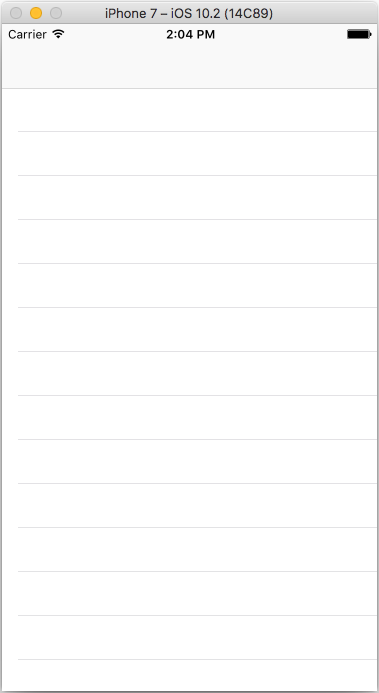 Now let's use a UITableViewController, this will give us for free an UITableViewDataSource and an UITableViewDelegate. We don't have to create a property to hold the profile image URL, we can get it from the username. It's important to set translatesAutoresizingMaskIntoConstraints to false because we're going to use the NSLayoutAnchor API to position our views. This way, we can extract the tweet information, create a Tweet instance and insert it in the array and in the tableView to display it. You can find the final version of the backend here and the final version of the iOS app here. 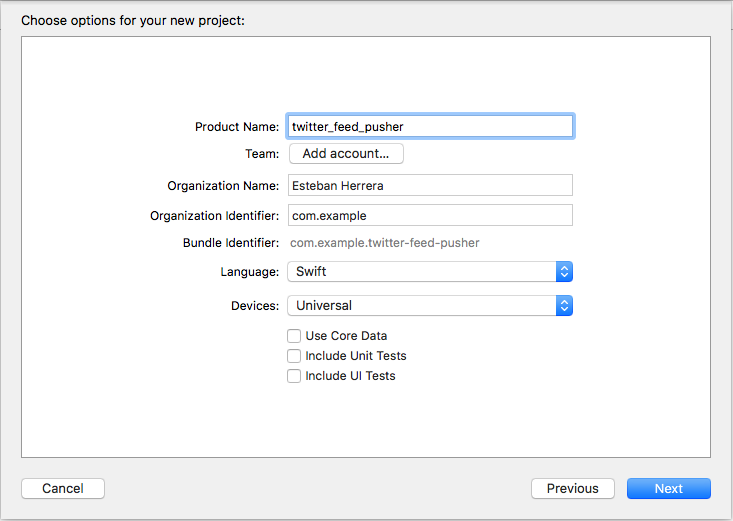 Hopefully, this tutorial has shown you how to build a Twitter feed for an iOS app with Pusher in an easy way. You can improve the app by showing more information or saving it to a database.